Often, the single most time consuming aspect of any classic car restoration is paint and bodywork. 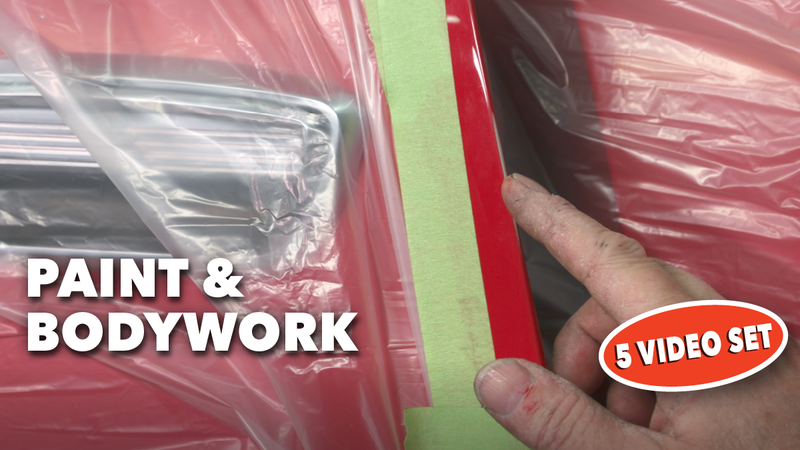 In this 5-Download Set, you’ll look closely at everything from filling dents to maintaining your freshly painted finish. 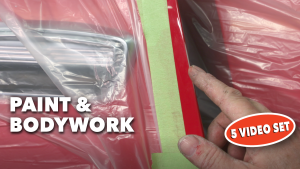 Paint and bodywork can be frustrating and rewarding, but the key to ensuring first class results every time is paying attention to the details and knowing the right tips and techniques to get the job done. 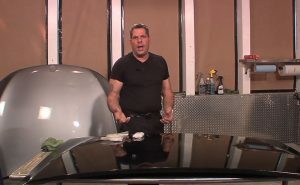 Join Mark Simpson and Bob LaRosa as they share some of their favorite techniques to strip paint, remove decal, stop rust, undercoat, prime, paint and finish buff classic cars. They’ll also explore ways to repair paint chips, thin paint edges, and how to remove “orange peel” finish in paint. With a little time and effort most cars can become real showstoppers. Every car restorer can benefit from this instruction, with 5 hours, 40 minutes of total instruction. Whether you’re just starting the restoration on your classic car or you already have your ride on the road, there are many great methods to help make and keep your car looking its best. In this video, Mark Simpson explores some of his favorite tips and techniques for everything from: Working with body fillers; getting the most out of your sandpaper; repairing chips; and thin edges on painted cars. Color sanding and buffing is the best way to remove orange peel and surface defects in paint. Simpson takes you step-by-step through the process of color sanding painted surfaces using different types of sanding blocks and multiple grades of wet/dry sandpaper. 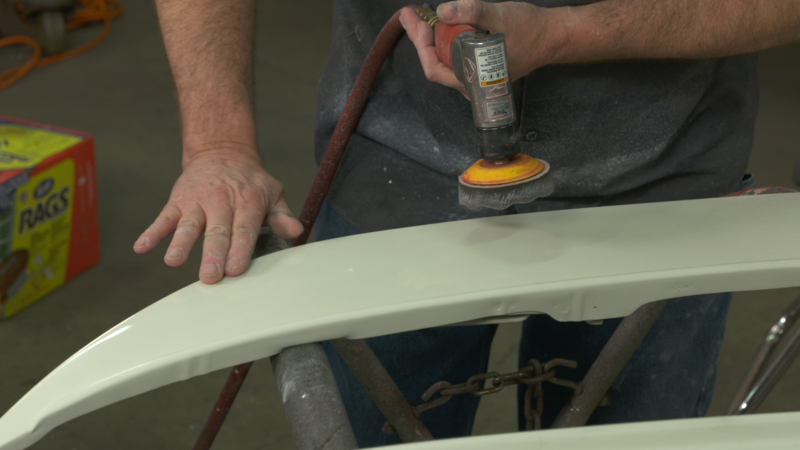 Then we explore the paint buffing and polishing process, starting with the different types of buffing and polishing compounds as well as the different types of buffing pads from wool to compounding foam and polishing foam pads, then using Micro-Fiber towels and hand polishing to achieve a true show-car finish. Rust. Whether it’s finding and eliminating it or preventing it from starting, classic car owners simply have to deal with it. We’ll test drive low cost inspection cameras and take a close look inside rocker panels and other hidden areas. These cameras can be a valuable tool in discovering problems before they become serious or when making a buying decision. Once we’ve found the rust, we’ll stop it in its tracks using a rust converter to transform the iron oxide (rust) into an inert coating. Adding one more layer of protection we’ll demonstrate using at-home undercoating products to seal and protect rust prone areas. Starting most classic car restoration often involves disassembly and removing old paint and bodywork. 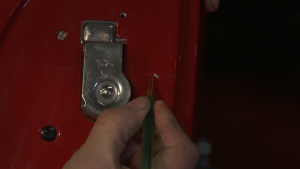 We’ll tackle the process of stripping off decals and trim tape adhesive without damaging the paint using an eraser wheel. Next, we explore different methods of stripping paint, removing old body filler and preparing the metal for bodywork. We also take a look at self etch primers, their use and application. Getting that show car shine can be a lot easier than you think, if you know what products to use and the process for using them. Bob LaRosa takes you through the process of getting that “Perfect Shine”, through preparation, selecting the right compounds, polishes, glazes, sealants and waxes. Knowing what products to use is only half the battle, LaRosa shows you how best to use them as well. 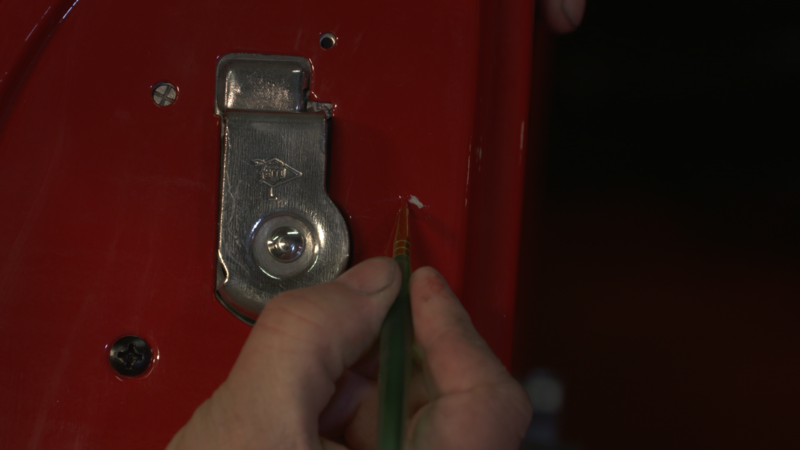 Seeing is believing and you’ll see first-hand the remarkable transformation made possible with the right tools and supplies, but it doesn’t end there Bob shares his insights on many common paint maintenance mistakes. The key to having a show car finish for many years to come, is knowing exactly how to maintain it. 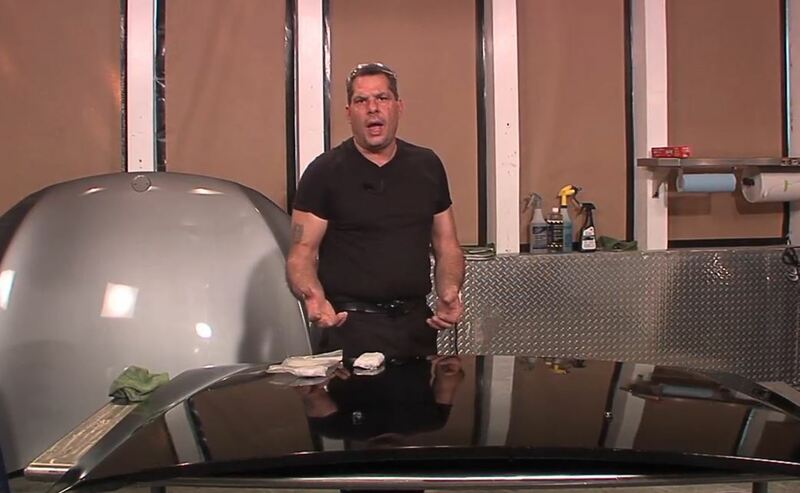 In this video, Bob LaRosa takes you step-by-step through the process of cleaning, drying, removing defects and waxing the finish on a classic car. While many enthusiasts believe they understand the process already it only takes one trip to the car show to see first-hand there’s just a little more to it. You’ve paid thousands for that great paint job, now learn the right way to preserve your investment for many years to come. Many good paint jobs can easily be turned into GREAT paint jobs with a better understanding of Wet (Color) sanding and how to properly buff the sanded finish. 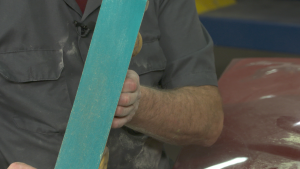 Bob LaRosa takes you on an in-depth review of the color sanding process, in removing “orange peel” and surface defects, to achieve a glass like finish on almost any car.